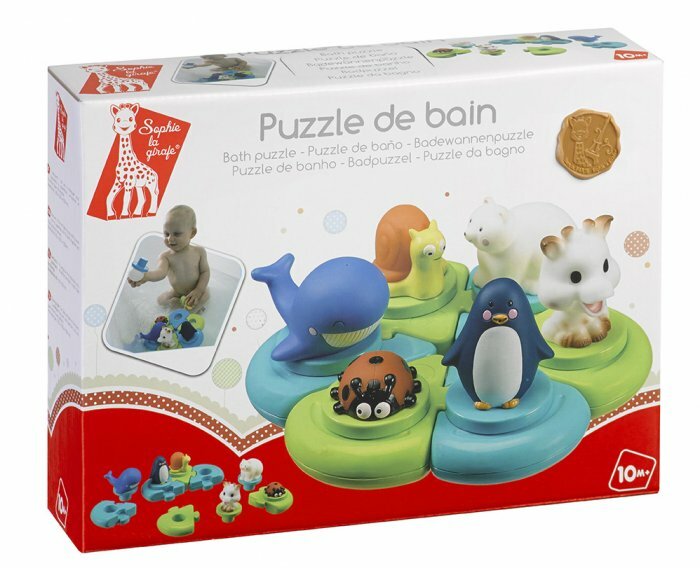 A bath toy with Sophie la girafe and her friends for baby to play with! 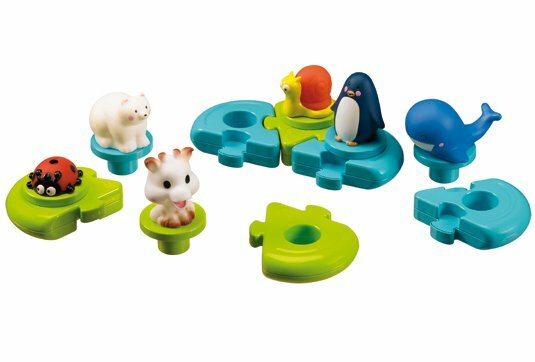 A toy for baby to play with to learn how to assemble and fit parts together and make up lots of stories. Shapes to be fitted together which float on water. Funny characters to be fitted onto the different shapes. 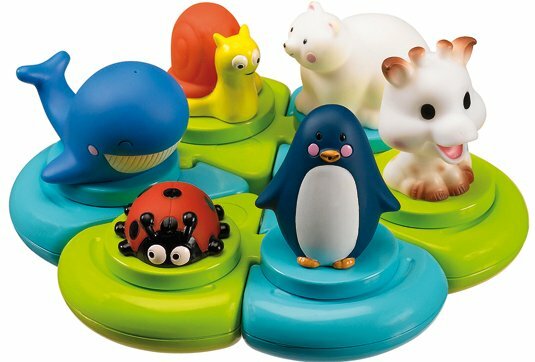 Includes: Sophie la girafe, a penguin, a whale, a snail, a bear and a ladybird. 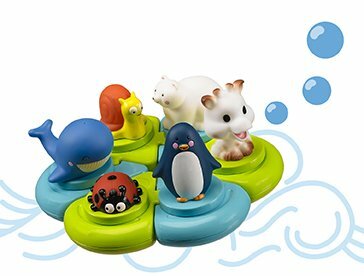 Fun: the characters are also spray toys which float on water! Dimensions: l 100 x w 200 x h 200mm.